In this post, I will show you how I paint a falcon from a video tutorial and step by step images. It is a continuation from how to draw falcon from the previous post. I have been doing a lot of study on birds recently so I thought I would record my process for you guys to see. It is quite simple when you know what you want to draw and paint, the subject is already there. All you have to do is observe then put what you see on paper. Unlike concept design, I usually have to have a well thought out design and so on because it is from my imagination. But these animal study will help me with my conceptual process because I can use bit and piece of what I studied. Then I can just combine what I have in my visual library and make it into some sort of creature or creatures. Here is a final painting of a falcon, it takes me about 40 minutes. Watch the video, how to paint a falcon below. 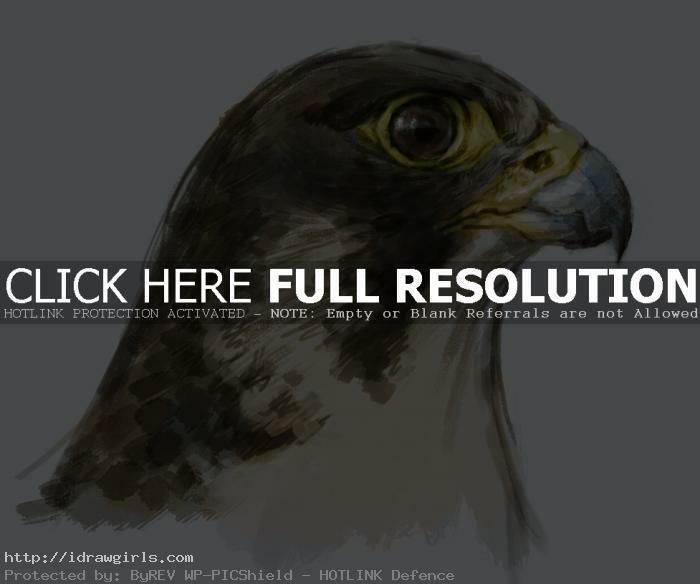 Below are step by step images how to paint a falcon.